Let the 2015/16 Season Begin! Shakespeare in Action is back in action after a restful summer break, and we are ready to bring you another great season for the 2015/16 school year! Whether you are looking to bring The Bard to your classroom, or your entire school, Shakespeare in Action has a program to meet your needs. Take a look below to read about all of the great things we have in store for the next year! Returning for the 2015/16 season by popular demand, Shakespeare Meets Hip Hop is avibrant, interactive presentation that demonstrates how modern hip-hop shares many similarities with the themes, language and rhythm used by Shakespeare. Both are full of poetry, word play and lyricism, and both deal with what it is to be human. Visit our website for more information, or to book your school today! Masterclass Workshops– Available from September- July! 75-minute exploration of any Shakespeare play. An opportunity to work with an experienced actor-educator who visits your school. A chance for students to be on their feet, exploring the text through voice and movement exercises. For Kindergarten – Grade 12, up to 30 students per workshop. Programs available for ELL, ESL/EDL students. For more information, or to book a workshop, please visit our website! Shakespeare in Action brings Kim Selody’s sparking production of Suddenly Shakespeare to your school in the Spring of 2016! 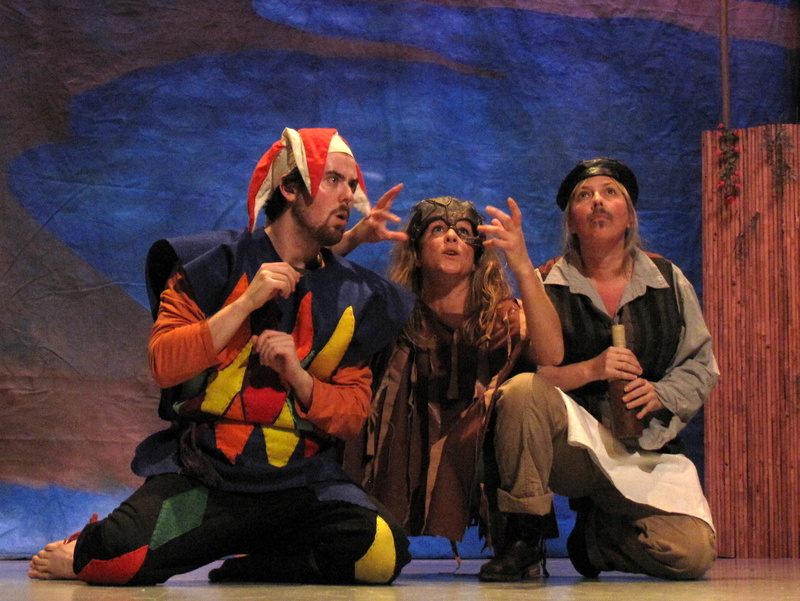 This hour long performance brings four of Shakespeare’s best-loved plays –Romeo and Juliet, The Tempest, Macbeth and Twelfth Night – to life for children ages five to seventy-five. Featuring music, dance and physical comedy, the performance is the perfect introduction to Shakespeare for young audiences. Make this a must see culture event for your students in the spring of 2016! Visit our website to find out how to reserve your spot today! School Residencies– Available from September- June! An in-depth study of a Shakespeare play over several weeks. 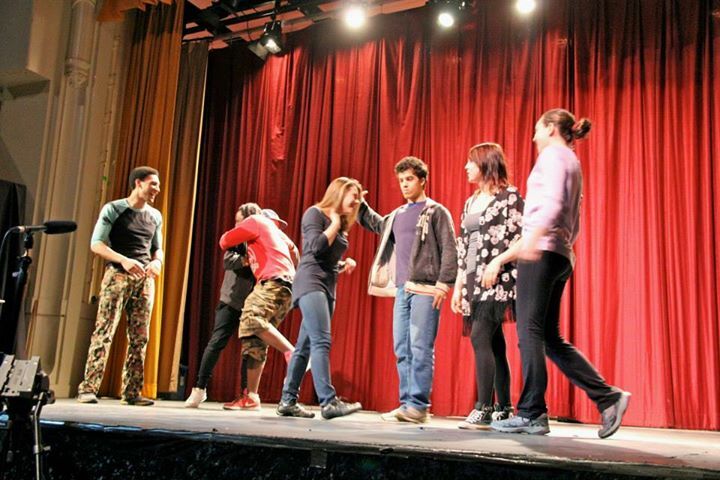 An opportunity to work with a professional actor-educator who visits your school. 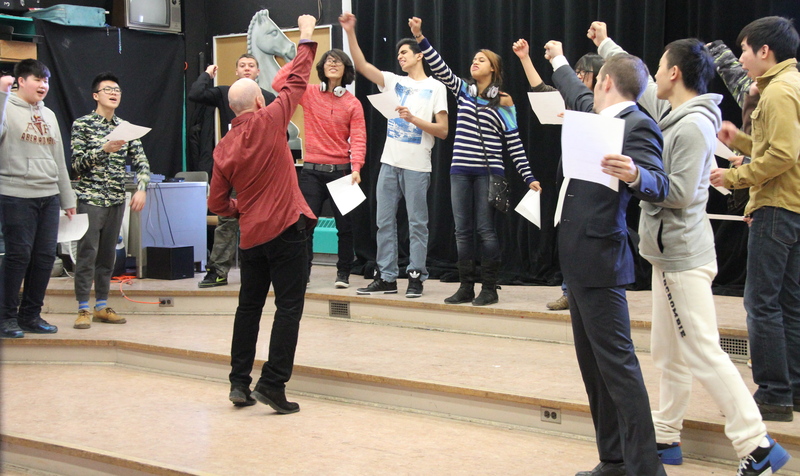 An interactive and dynamic approach to Shakespeare that gets students on their feet and exploring the story. For Kindergarten – Grade 12, up to 30 students per Residency. Fore more information, or to book a residency, please visit our Residencies page! Check our website for dates and locations! 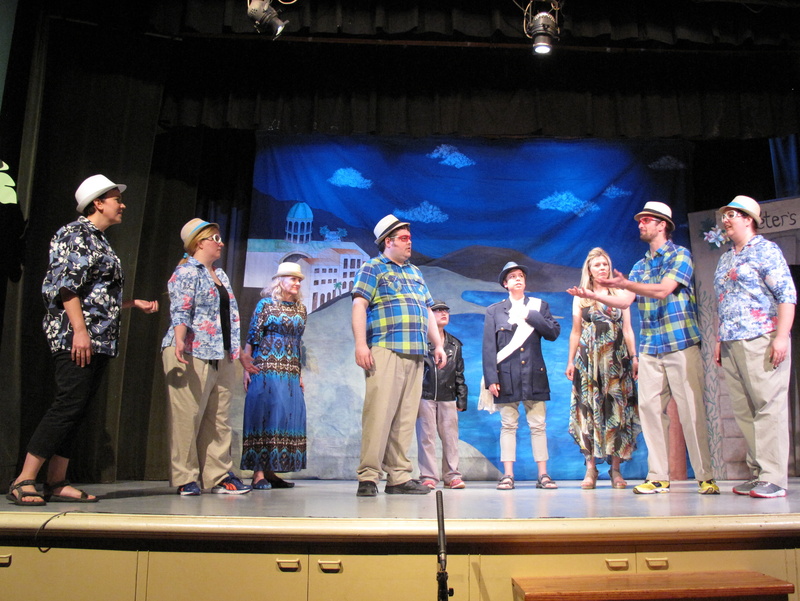 For the past four years, community members from the corporate sector fearlessly took to the stage in productions of William Shakespeare’s A Midsummer Night’s Dream, The Tempest, Twelfth Night, and The Comedy of Errors to raise funds for Shakespeare In Action’s educational programming. Their generosity has helped to foster literacy, enhance creativity and promote speech arts for youth at risk in Toronto’s priority neighborhoods. Play announcement and registration information coming soon! Check our website for updates! 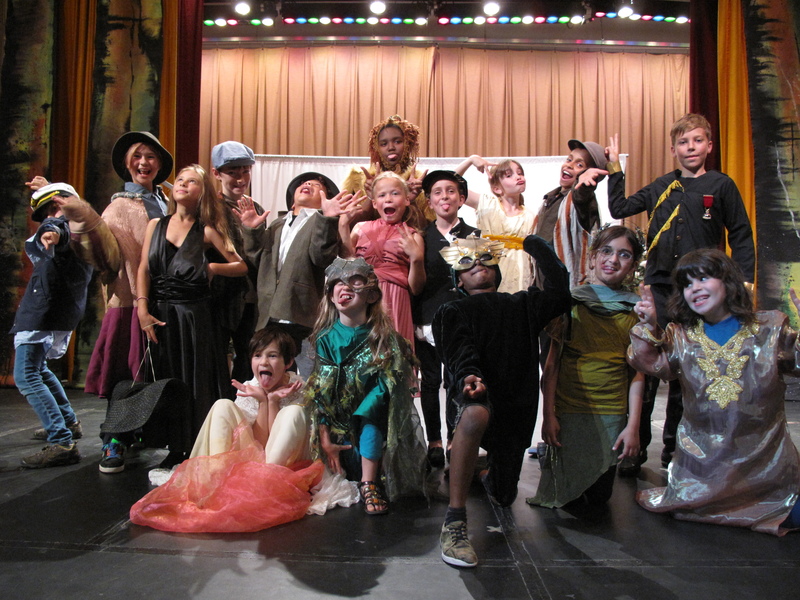 Kids will learn to act, sing, improvise, construct costumes, and design sets – all while having the time of their lives! The program runs for 2 weeks, Monday to Friday, from 9am to 4pm daily. Our team of highly skilled professional actors provide master-class level instruction. 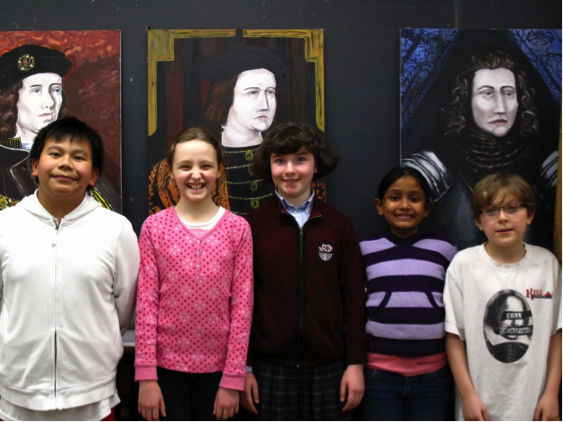 Kids perform their very own Shakespeare production for parents, extended family, and friends! 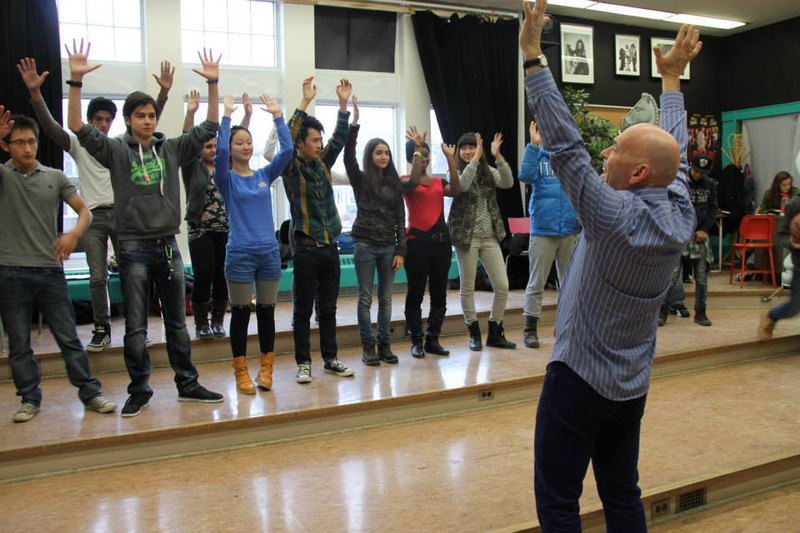 Teens will participate in a 4-week intensive training program in stage and film performance. Professional actors and directors lead workshops in theatre and film techniques. No drama or performance experience is required. Participants rehearse and perform one of Shakespeare’s more challenging plays. Teens are encouraged to develop their own interpretations of Shakespeare’s works to create and showcase a multi-media performance. For more information, please visit the Shakespeare Summer Camp for Kids or Young Company for Teens page on our website! Shakespeare in Action is excited to announce our upcoming 2015/16 season! Tours, workshops, and our free library club are only some of the things that we will be bringing to your school and neighborhood in the coming year. We hope to continue fostering literacy, enhancing creativity and promoting speech arts in the lives of youth across Ontario. Take a look below to read about all of the great things we have in store for next season! Returning for the 2015/16 by popular demand, Shakespeare Meets Hip Hop is a vibrant, interactive presentation that demonstrates how modern hip-hop shares many similarities with the themes, language and rhythm used by Shakespeare. Both are full of poetry, word play and lyricism, and both deal with what it is to be human. Dates and locations coming soon. Check our website for updates! Shakespeare Fight Club– Dates and location to be confirmed! Over eight rigorous weeks, Shakespeare in Actions leads an innovative new program in practical performance training, based in theories of embodiment. We blend stage combat, dance choreography and Shakespearean scene study with urban art forms such as break-dancing and hip hop, culminating in a series of public performances in the neighborhood. 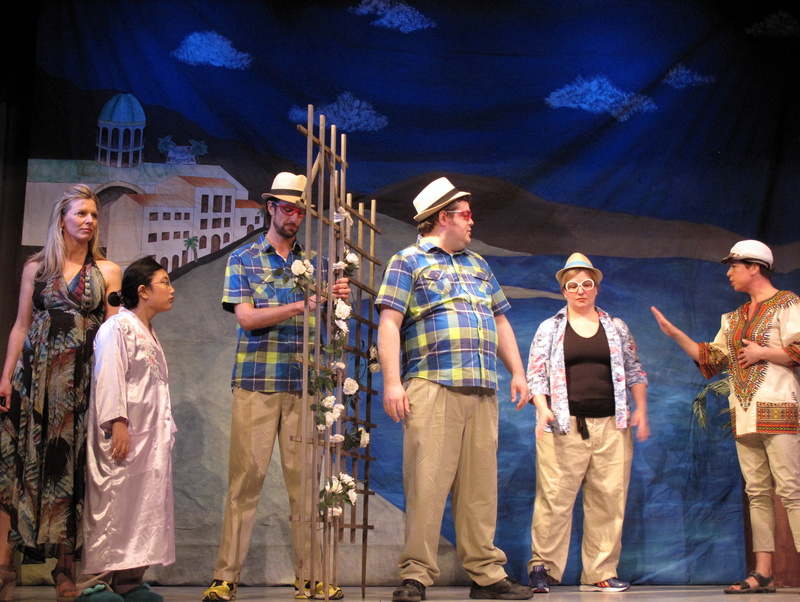 The program is led by an expert team of theatre professionals. The program is based on the premise that young people at risk need safe creative spaces that are stimulating, challenging and thought provoking. We identify and address root causes of violence, and create a performance that seeks to positively reinforce the lives of our young participants, and to engender pride in the community. 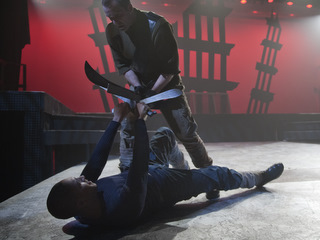 For more information on the Shakespeare Fight Club, please visit our website! TD Shakespeare for Kids Library Club- Only 3 weeks to go! 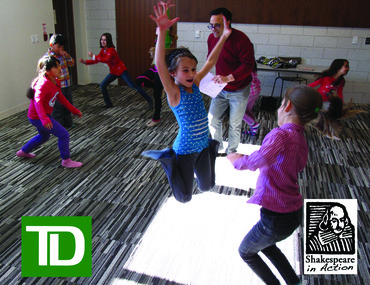 The TD Shakespeare for Kids Library Club is back, and there are only 3 weeks left until the first session begins! 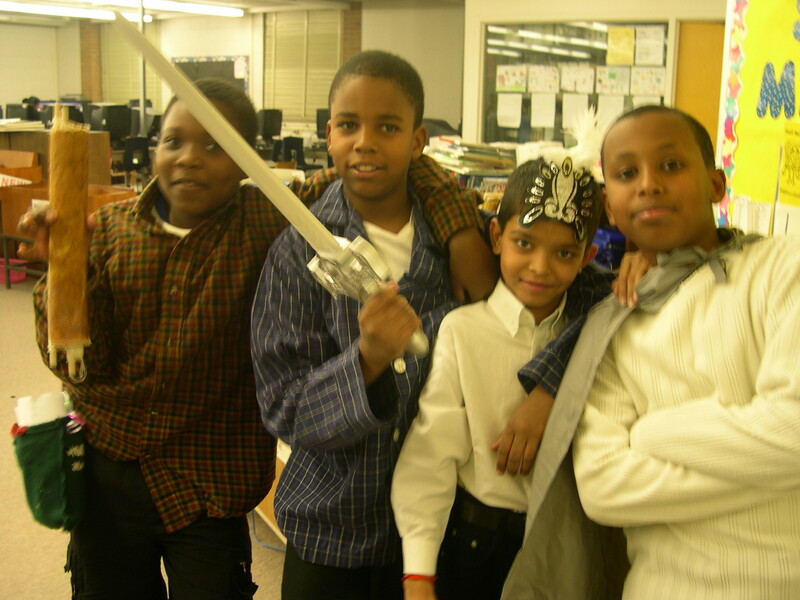 Register your Shakespeare Kid for this free readers’ theatre program, available for kids ages 7-12! Spots are filling fast, so make sure to register today!